The museum is offered many interesting items for the collection over the course of the year. 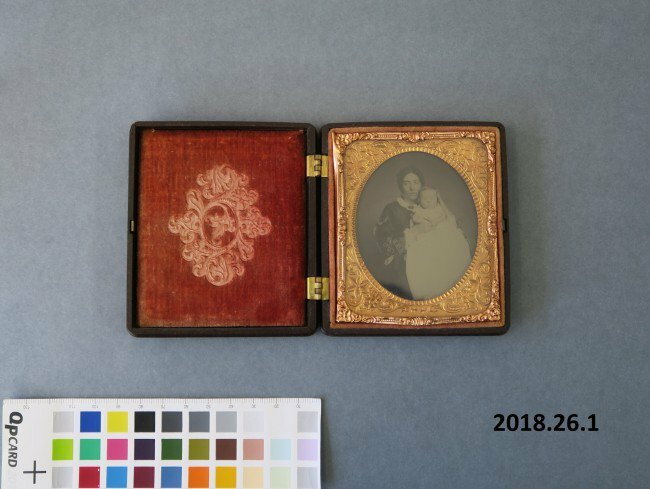 Often they are seemingly ordinary, everyday objects, but what makes each of them special and worthy of collecting is the wonderful stories they can tell us about our region’s history. This wicker basket is certainly one such object. 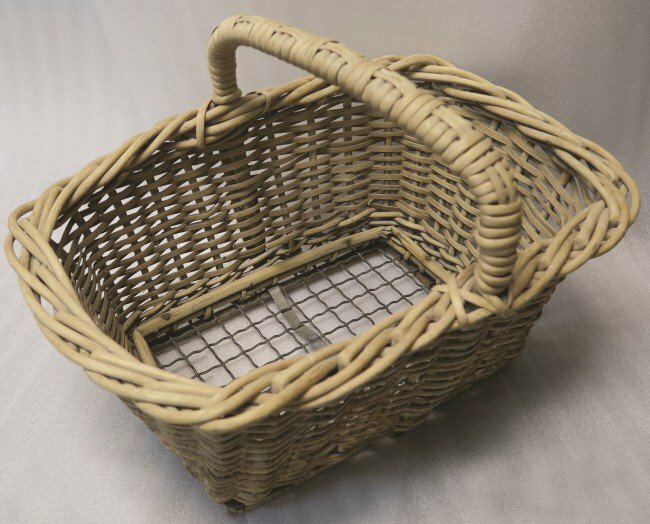 This basket was used by William Hamilton (known as Ham) Hannah (b. 1920, d.1967) to deliver bread for Walter Findlay’s Bakery in the 1930s. Ham would have delivered bread around Gisborne by horse and cart. A few people out there may remember having bread delivered by him, perhaps using this basket! Ham served as a Driver in the Army Service Corps in the Second World War and continued to work as a driver when he returned to Gisborne after the war. In the 1960s, he was the Custodian at Churchill Park. He was married to Sarah (Sadie) and they had four children. We would like to thank Julie Hannah for gifting her father-in-law’s breadbasket to the museum. 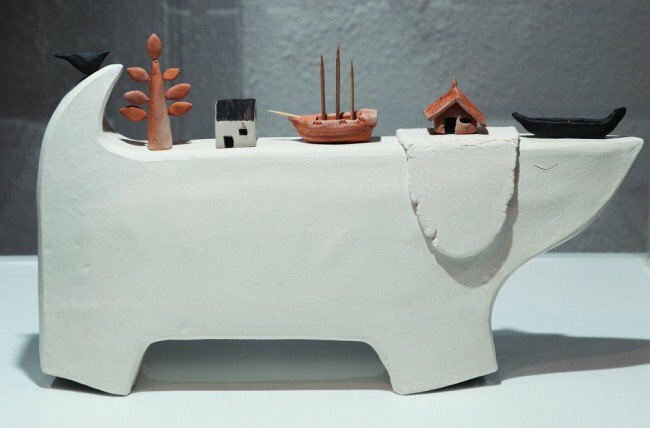 This work by Erena Koopu was part of the exhibition Hei ō Mō Apanui | Iwi Sustenance held at Tairāwhiti Museum in 2018 and purchased by the Friends of Tairāwhiti Museum for the collection. He waiata a ringa (an action song) Performed by Te Kapa Haka o Te Whānau a Apanui at Te Matatini in the year 2005 in Palmerston North. 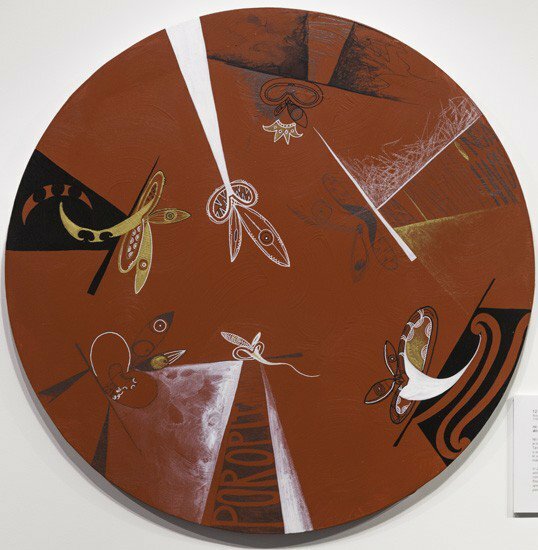 Nō te tau 2004 ka whakaturehia e te kāwanatanga te pire takutai moana, e riro ai te taitara o te papa moana, tōna ritenga, he muru whenua. I taua tau rā, ko Tāriana Tūria te wahine toa o Reipa kāore i tautokona taua pire, ā, ko ētahi atu o ana hoa mema Māori, i tautoko tonu. He waiata-ā-ringa tēnei e kōrero ana ki aua mema rā, kia aro ki ngā tohutohu a ngā poropiti Māori, kei reira te māramatanga e noho ana. In 2004 the Government passed the controversial Foreshore and Seabed Bill, which transferred title to the crown, and in itself is a form of modern day confiscation. In that same year, Tāriana Tūria, Māori MP of Labour crossed the floor, while the rest of her Māori colleagues remained seated. This action song speaks to those seated members, and urges them to remember the lessons of past Māori prophets, as clarity must resides in their messages.